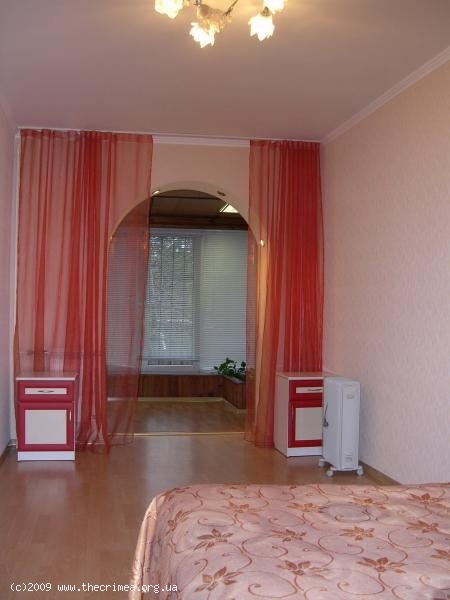 This beautiful and stylish apartment is to let for holiday and business purposes. 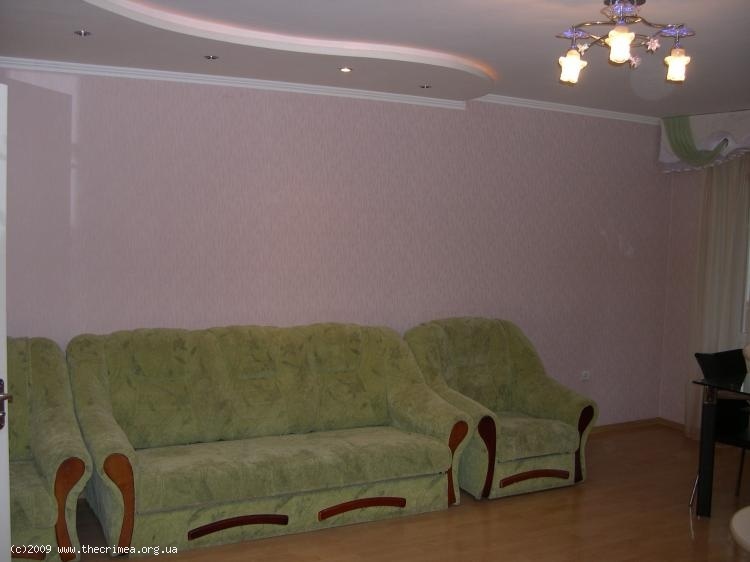 The apartment is situated in the centre of Simferopol, yet in a quiet area, near the Salgir river and the City Garden Park from where you can easily explore the city. A number of sights and objects of interest are just a stone's throw away. A 7 minutes' walk will take you to Pushkina str., also called Simferopol Broadway, which hosts many of the best bars and restaurants in Simferopol. 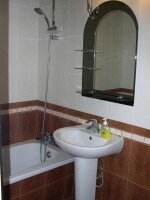 Because of its central location the apartment can be very well reached by public transport. It still remains very peaceful as the windows overlook a green park zone along the river. 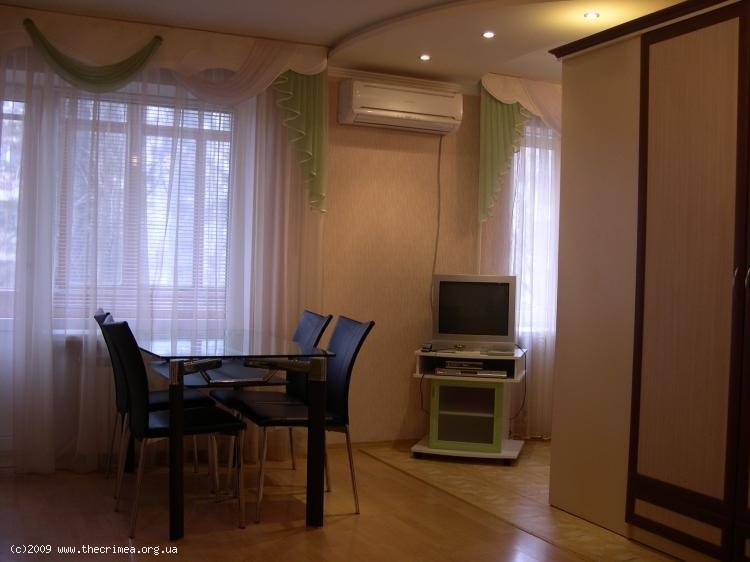 Proximity to the river and park zone creates a comfortable, well balanced, easy to breath atmosphere in this quarter of the city both in summer and winter. It's a spacious superior residence with fully equipped kitchen, lounge, lavatory, bathroom, bedroom and a balcony. 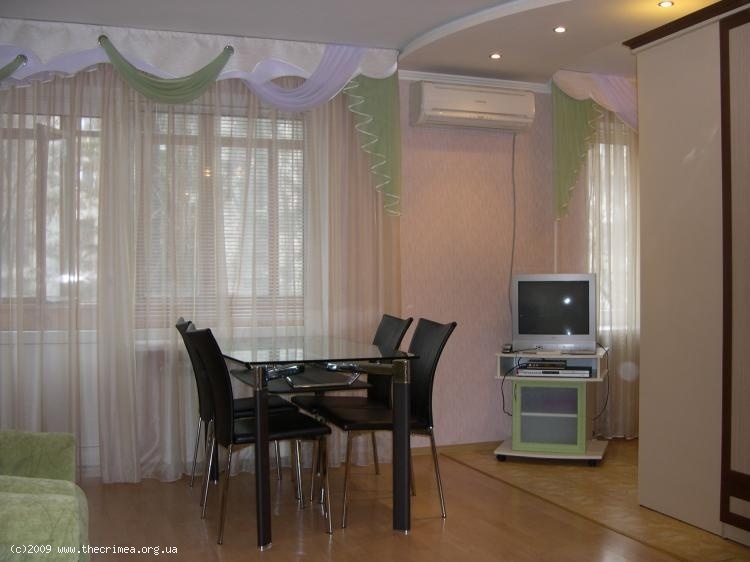 The apartment is furnished in good taste and quality and is tastefully appointed with a variety of different decors, colors and furniture types. All of the decor and furnishings have been designed to follow the cool modern theme of the apartment. The spacious main room has subtle lighting with a dining area leading into the kitchen which is fully equipped. 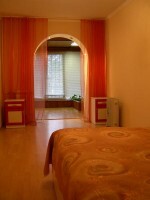 The bedroom has a queen sized bed with a comfortable mattress. 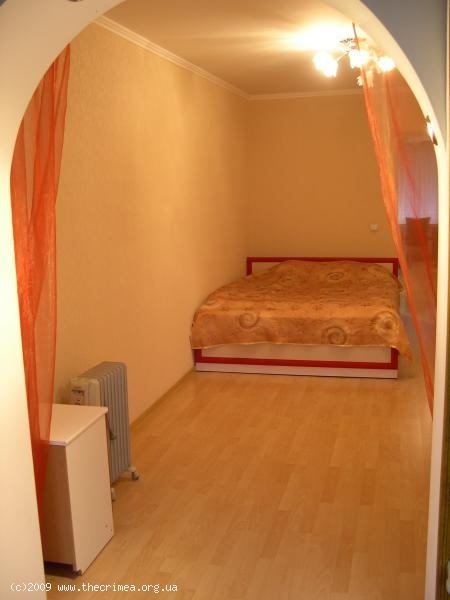 The apartment offers great facilities including television, Satellite TV and a DVD-player. In short an ideal place to spend a few days or weeks in Simferopol, either on holiday or business, or both! You're very welcome!